Two women, centuries apart, are joined through a tattered journal as they contend with God, husbands, and even themselves . . . until they fall into the arms of the One who loves them unconditionally. Sierra Madrid's life has just been turned upside down when she discovers the handcrafted quilt and journal of her ancestor Mary Kathryn McMurray, a young woman who was uprooted from her home only to endure harsh conditions on the Oregon Trail. Though the women are separated by time and circumstance, Sierra discovers that many of the issues they face are remarkably similar. By following Mary Kathryn's example, Sierra learns to surrender to God's sovereignty and unconditional love. 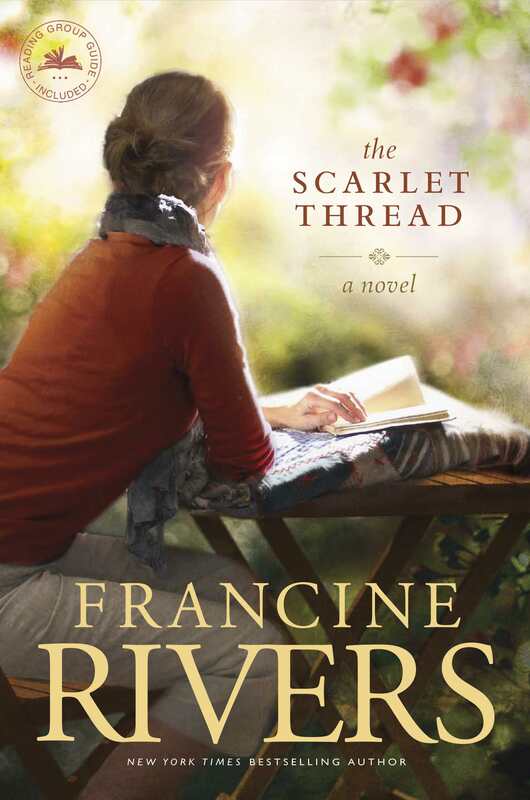 The Scarlet Thread by Francine Rivers was published by Tyndale House Publishers in June 2012 and is our 9902nd best seller. The ISBN for The Scarlet Thread is 9781414370637. Be the first to review The Scarlet Thread! Got a question? No problem! Just click here to ask us about The Scarlet Thread.